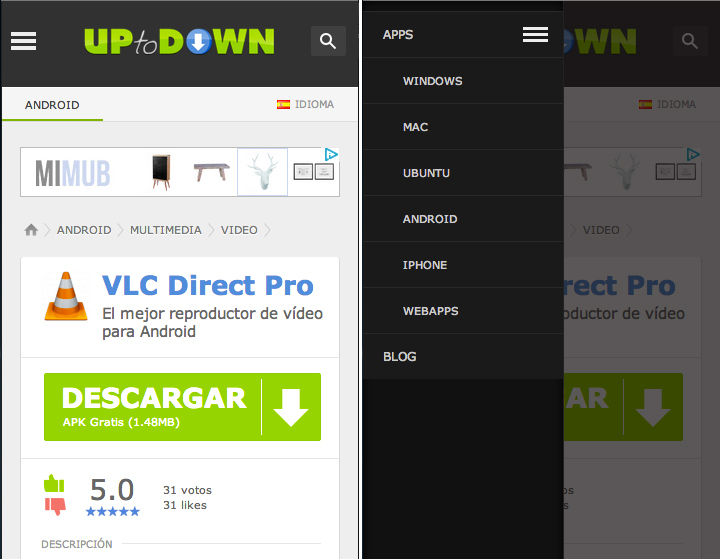 Hoy hemos subido unas cuantas novedades relacionadas con el diseño responsive de Uptodown (del que ya os hablé hace un tiempo). 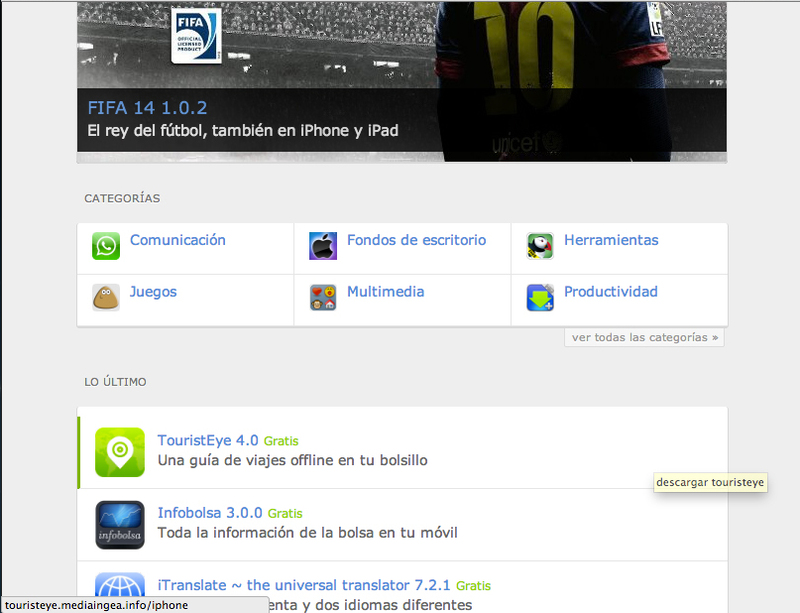 Acceso al buscador con autocompletado hasta los 320px. Mejoras para la interacción táctil, ahora los paneles en listados, tops y otros elementos son clicables en toda su superficie. En movimiento, todos los cambios son 100% CSS. A todo esto, @pepedom ha incluido una batería de optimizaciones para hacer aún más rápida la navegación y reducir el consumo en terminales móviles. 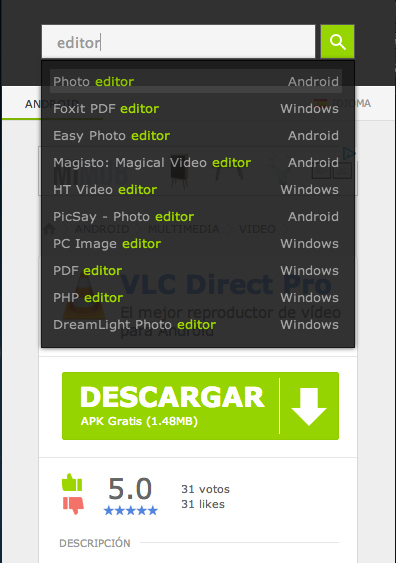 Con esto llegamos al 97/100 en PageSpeed de Google y un 93/100 en performance grade de Pingdom. The problem is that this work on your vehicle, for the most part, absolutely has to be done. Јe vais vous dire que ce n’est guère inexact ! will need to…HaHa). You definitely put a new spin on a topic that’s been discussed for ages. and bth show the same outcome. This post actually maade my day. You cann’t imagine just how much tine I had spent for this info! just right content as you did, the net will likely be a lot more helpful than ever before. blog and wanted to mention that I have truly loved browsing your weblog posts. I have learn this submit and if I may I wish too suggest you some attention-grabbing issues or suggestions. ein Bild der “deutschen Geldverdienen-Szene” machen. Golden Globes knows that Robert De Niro is a character. is finding flaws with films, of which this one has an abundance. Manager 2013 CD Key Generator is free of viruses. The strong supporting cast includes Yaphet Kotto, Eartha Kitt and Carl Weathers. accused of murder in 1920 and put to death in 1927 after a famously biased trial. just for men to humiliate and insult women, and have fun doing so. passion into a six-figure income selling game-hacks online. if you do not have much experience with car engines. sealing, and helps keep the inside of your engine clean. I am quite sure I will be told a lot of new stuff proper right here! I don’t even know how I ended up here, but I believed this publish was good. and Twitter. First of all, you get to be at par with the competition. web and on the web I found this website as a most excellent website for newest updates. Communities are becoming more aware that there are not as many activities for young people as there should be. means a technocratic and madly orchestrated dance sequence. to make merry with them after marriage. Greetings! I’ve been reading your weblog for some time now and finally got the bravery to go ahead and give you a shout out from Huffman Texas! Just wanted to say keep up the fantastic job!